This is the big year for us, it’s the year my son starts school. I started school when I was 7, he starts it at 4. I find it quite challenging to say the least, to start school so young even though it’s just Reception in the first year, which is sort of a Pre-school. My son went to pre-school for 2 years and grew quite attached to it and to the whole team, teachers and colleagues. Therefore I do expect it to be quite a transition to the “big school” as some people refer to it. So I tried to find ways, through talking to other parents and teachers and reading, to make things as smooth as possible. Luckily, I am very happy with the school that my son was offered a place to, so this should also help. Well, actually, this should help me get more comfortable with the change, to be honest! Back to the child though. Taking into consideration that he is our eldest child, he has no sibling who will be there with him or at least tell him how the school is. So we are taking some steps which we hope will help our son be ready for the “big school”. I am listing them in this post, maybe you too will find these ideas helpful. Usually there is an induction day for all kids starting Reception, meaning that on a particular day they all come for a play and to meet their teacher. This is a lovely idea and it certainly helps. Still, that day can be a bit scary if the kid has never been to a school, and things could be overwhelming. So I thought that a nice way to see the school for the first time could be a fair: most of the schools have fair all around the year (summer fair, Easter fair, Christmas fair) and it’s a more relaxed way of walking through the school and the child can take a look at one’s own pace of all the surroundings. And it is usually also fun since fairs are supposed to be fun. School is a new concept for a child, no one can be excited about something they have no idea what it’s gonna be like. I remember I imagined school as a room (just like pre-school was) with kids seating on chairs with the number of their year written on the chairs (so the kid in Year 2 would sit on a chair with number 2 for example). Kids can only imagine how it will be so I think it helps a great deal to have them talk, if possible, with colleagues from the previous year at pre-school, ex-colleagues that are currently in Reception. This way the kids can hear, first-hand, how things might be. “Little Hedgehog’s Big Day” – this is the one I mentioned previously, and just take a look at the cover – isn’t the hedgehog cute? Maybe you like the school that has offered a place for your kid, or maybe you don’t. But your child needs to feel safe at school and to enjoy it as much as possible. So try to talk about his/her school with enthusiasm: talk about the arts&crafts project you saw, talk about the books you noticed at the library, talk about the playground, or about the forest school or PE activities. I am not telling you to lie to your kid, just tell him/her the good things you noticed in school, the parts you liked and think he/she will enjoy. Leave unpleasant aspects out (if any), there is plenty of time to discover them and talk about them. The experience might sound scary anyway, so try not to add a new fear to the already existing ones. On the contrary, talk about what school was like for you, how you felt on the first day there, how you made friends, what were you scared about and realized it wasn’t actually scary at all, and so on. Anything that helps the kids associate school with a nice place to be in. If you tell your kid “school is the place where you will write lots of texts and learn about Einstein”, it might not communicate too much, it’s a bit too abstract. But tell him/her about school relating to what he/she already knows: “you will do experiments like the one with the vulcano you did in pre-school”, “you will continue to learn phonics, just like you do at pre-school”, “you will play counting games, just like you did this morning with your dad”. Relate to something familiar so that school becomes familiar and therefore less scary. The unknown can be scary, but the familiar can be quite exciting. I hope all Reception kids to have exciting days this year! This posts included affiliate links on the book titles. 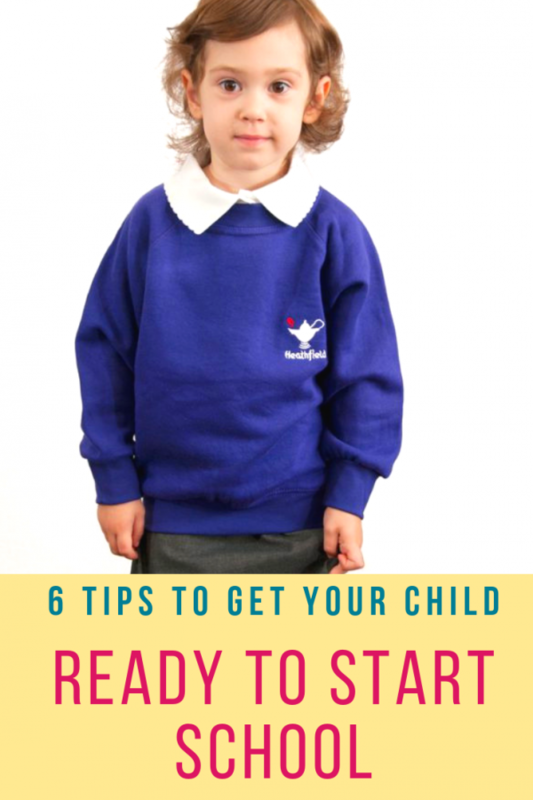 These are great tips to get your child ready for school! My little guy loves when we read books to him, so I think that idea of reading books about school would be great for us. 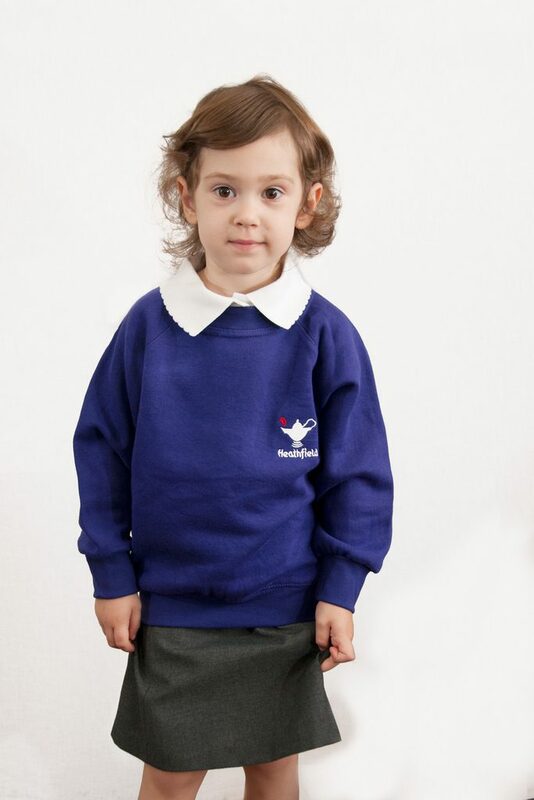 I hope your child had a great first day at the big school, and is enjoying the experience!! These are amazing tips! I especially like connecting the “known” to the “unknown” and helping the transition by linking the experience to something they have already encountered in their life. A big part of child development is figuring out how to do just this; taking something new and teaching it in a way that relates to something the child already understands. I also love reading books to kids for any occasion, so this fits in perfectly! 🙂 You can even tie a book in with a real life experience and then introduce a concept they might learn at school in conjunction with both these things . I have a child with severe anxiety and ADHD and I remember how it was getting him used to the idea of starting school. 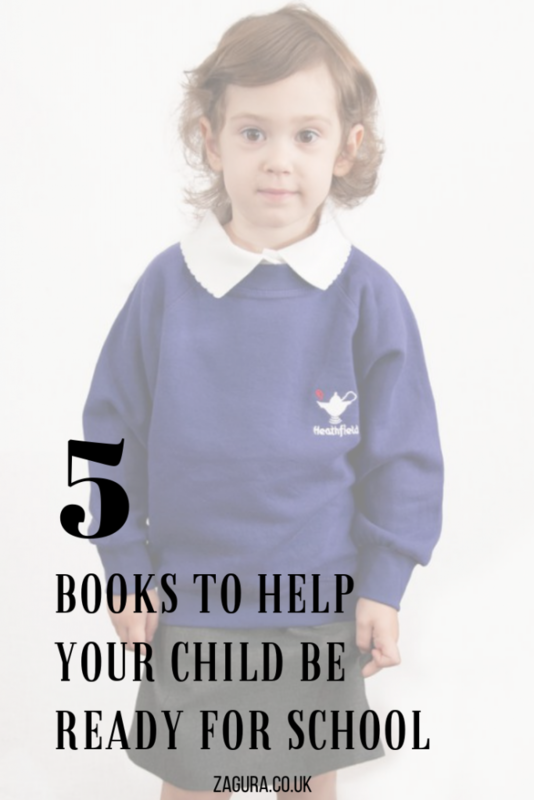 Great tips about reading books before starting school. That was how we introduced kindergarten to our 5 year old and I swear it helped immensely! I’ve never thought to prepare them for school other than making sure they meet the requirements. this is an interesting perspective.